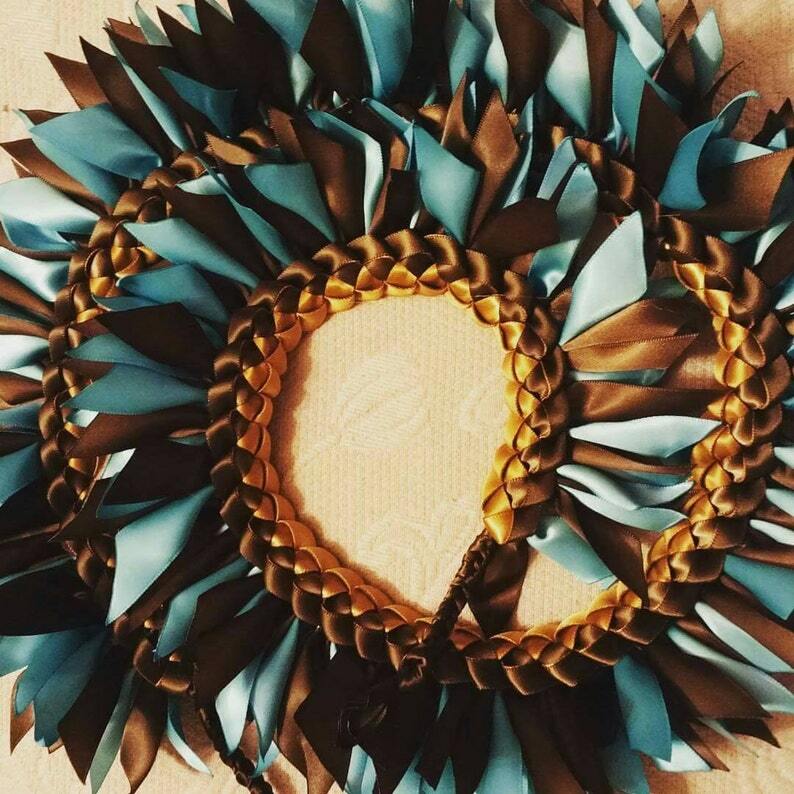 This lei is beautifully handcrafted in a style made for a Warrior! Each 4" cut ribbon is fire sealed to ensure the ribbons do not fray. They are braided in a way as authentic leis are created. We then attach a single braid lei on top to give a complete look. Your choice of colors, contact me to see if your color is available. Length is roughly 40" and meant to lay over the shoulders with half laying across the chest and half along the back. This will be completed in a 1 - 2 week period. 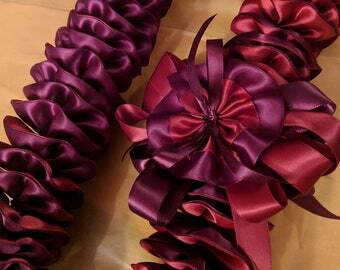 Please allow extra time during peak graduation season to ensure that you receive your lei in time. Message me to make sure we can make this in time for your celebration. We ship USPS. Thank you for looking!